. . . Tarobo-gu (aka Taroubou-gu) goes practically unknown. A striking setting; captivating legends; and over 1200 years of spiritual endeavour. ... The mountain, named Akagami, has a distinctive shape, rising out of the valley floor like a miniature Mt Fuji. 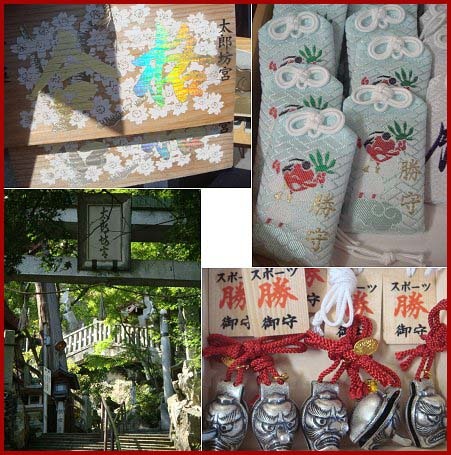 ... From the outset Tendai has revered local kami, and for centuries the mountain hosted a Shinto-Buddhist complex. 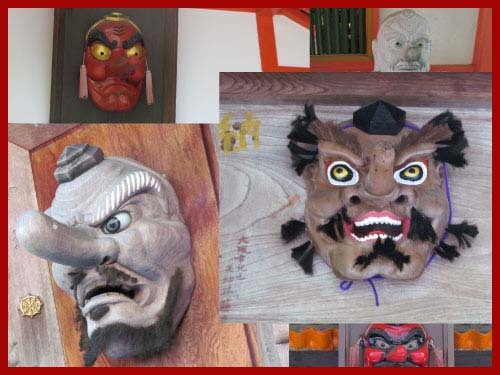 It also served as a centre for shugendo (mountain asceticism). 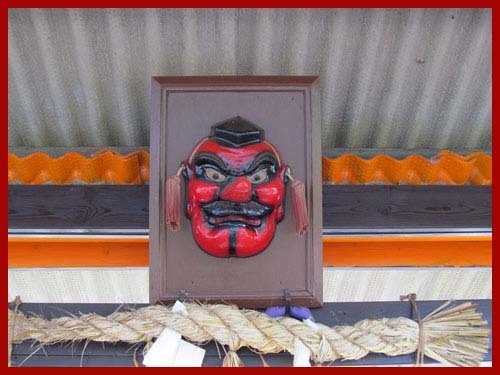 The name of the shrine, Tarobo, refers to a tengu king. A mythical creature with shamanistic overtones, the tengu dwell in the mountains and are linked to mountain asceticism and martial arts. ... The main kami is a son of Amaterasu. His name is not widely known,unsurprisingly since it's Masaka-Akatsukachi-Hayahiameno-Oshi-Homimi-no-Mikoto. In Japanese mythology he was a heavenly warrior offered the chance by his mother to 'descend to earth' but he demurred in favour of his son Ninigi. According to the shrine, he has the attributes of the sun, rising every morning without fail to conquer darkness. As such he's a kami of victory, whether it be in business, exams, martial arts or any other field of life. 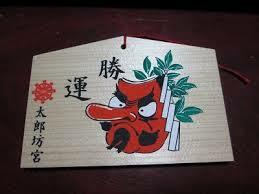 Prayers should be directed to that end.
. Tengu 天狗 Mountain Goblins - Introduction .